"Cabbage is a great cleanser and healer to the digestive tract and is often neglected in the world of juicing," Brooks said. 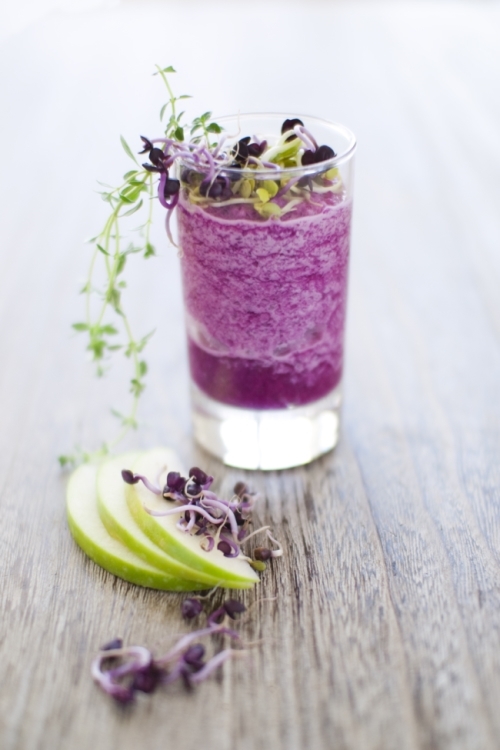 Show cabbage and your body some love with this purple juice. For the decoration: Radish sprouts Granny apple slices. Peel, core and cut the apple into pieces. Place all in a blender with apple juice. Mix. Refrigerate. Add milk or heavy cream. Add pinch of celery salt. Emulsify again smoothie before serving, & top with a spoonful of whipped cream and a pinch pepper.